First, can we take a moment to appreciate the beauty of this book’s cover? Ah, the colors! I needed this book in my life even before reading the synopsis. Fiction set in and around Pearl Harbor comes with a particular challenge. How do you create a story that can hold readers’ interest when the real-life events are more dramatic than anything made-up could be? 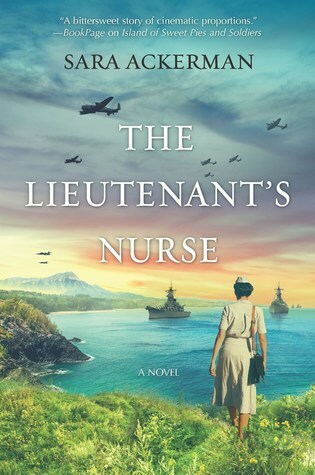 The Lieutenant’s Nurse tries very hard to give us an epic love story that complements and is complemented by the historical events, but the love story elements just can’t really hold a candle to the the factual story of Pearl Harbor. Not that The Lieutenant’s Nurse doesn’t have a lot going for it. Let’s start with our main character, Eva Cassidy. From the first, it’s clear that Eva has secrets. She’s traveling across the Pacific to an army nursing assignment in Hawaii, expecting gorgeous beaches, interesting medicine, and above all, an escape from a traumatic situation back home. The truth comes out in bits and pieces over the course of the novel, but we learn early on that Eva is traveling under an assumed name, that she’s fleeing a hospital scandal that gained her notoriety, and that her long-distance boyfriend has arranged to get her stationed in Honolulu, where’s he’s also stationed with the army. On the ocean voyage, Eva is immediately drawn to the gorgeous naval officer Clark Spencer, and he seems drawn to her as well. As an intelligence officer, there’s a lot he can’t share, but he does warn her that war may be imminent, and that the Hawaiian islands may not be the peaceful haven she expects. When the Japanese attack on Pearl Harbor takes place, Eva has only just arrived, but rushes to the hospital alongside the other devoted nurses to tend to the horribly wounded men. Meanwhile, she keeps an eye out for Clark, who’s brought in with injuries as well, and has to deal with the boyfriend, Billy, once she realizes that he’s not the man she truly loves. On top of the love triangle drama, there’s intrigue as we learn that Clark became of aware of the impending attack days ahead of time, but that the report he submitted was blocked and discarded, eliminating the possibility of striking first against the approaching Japanese fleet or at least giving the fleet at Pearl Harbor a chance to prepare. When Clark tries to follow up, both he and Eva receive warnings from a pair of thugs who threaten their lives and also threaten to reveal Eva’s secrets. Still, I found the depictions of the nurses and their dedication to their patients quite moving and inspiring, and the author does a lovely job of giving personalities and individuality to the soldiers and sailors who come to the hospital in the aftermath of the attack. Because we see the events of Pearl Harbor through Eva’s eyes, we don’t move much beyond the hospital confines, so the destruction of the fleet seems to happen at a bit of a remove. The story of Pearl Harbor is so tragic and dramatic that it’s hard to care about anything else happening at the same time — so yes ,the love story and Eva’s personal background might be engaging, but they seem kind of small in comparison to the historical events unfolding here. The Lieutenant’s Nurse is a quick read with some touching moment, but ultimately the plot — especially the love triangle and the spy business — doesn’t really stand out as truly special. I’d say this is a solid 3-star read for me. Pachinko is a multi-generational family saga which starts with Sunja, the teen-aged daughter of two poor but loving parents who instill in Sunja a love of family and the value of hard work and sacrifice for the sake of those you love. Over the course of this 500-page novel, we follow Sunja from Korea to Japan, and then follow her descendants through two more generations, as her children and her grandchildren struggle to find their place living in Japan but never able to shed their otherness as Koreans. The early sections of the book focus on Sunja herself, as she finds herself pregnant by an older man who offers to set her up with a comfortable life as his Korean wife, despite never being able to marry her since he’s already married in Japan. When Sunja rejects his offer, she faces a life of shame until a kind but ill minister decides to devote himself to her and provide a life for Sunja and the baby in Osaka. Life in Japan is hard, as the Koreans live in a squalid ghetto-like neighborhood and struggle to survive. As the second World War progresses, the family faces greater and greater dangers, and yet Sunja’s family grows through her two sons as well as the extended family she finds in her brother- and sister-in-law. Over the years, Sunja’s children grow into young men, and each faces his own set of obstacles and challenges. While post-war Japan offers greater opportunities in some ways, the Korean immigrants and their Japanese-born children are continually treated as inferior, looked upon as dirty and undesirable and criminal. The discrimination, portrayed in this book through the 1980s, is unrelenting and very disturbing. The plot covers about 50 years, and during these decades the focus shifts away from Sunja and toward the younger generation and their friends, relationships, and their own struggles. While my attention was mostly held throughout, by the last third of the book I started to feel that the story was becoming a little too dispersed. Not only were there chapters about Sunja’s children and grandchildren, but there was also a chapter focused on the wife of Sunja’s son’s best friend and other on the girlfriend of one of her sons. As more and more characters are introduced and given backstories, the main characters tend to slip into the background. Why should Sunja’s story become less interesting as she ages? She’s little more than a supporting character by the final sections of the book, although the final chapters wrap up her story very well and bring the various plot points back together. Still, there’s plenty to enjoy and discuss in Pachinko. I knew little about Korean history or the status of Koreans living in Japan prior to reading this book, so it was quite eye-opening for me. 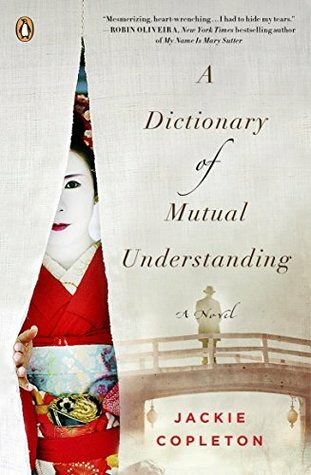 The intricate relationships and tensions between the characters are informed by the social status of the Koreans and how they view themselves and their roles in Japan, sometimes in really destructive ways. Pachinko is an ambitious novel that covers a woman’s life from girlhood to old age, showing her loves and commitments and determination, as well as the legacy she leaves for her children. 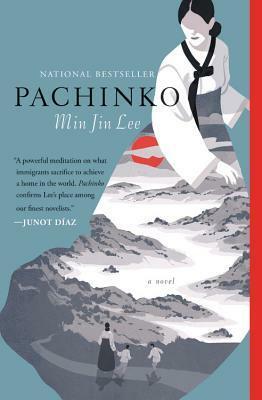 With memorable characters and heart-breaking events, Pachinko would make a great book group choice, as there’s plenty of food for thought and discussion. I bought it about two years ago, after seeing it mentioned in a magazine. It just sounds so heartbreaking! I love the description, with a long-lost grandson turning up after so many years, after enduring so much. The synopsis makes me want to know more about the family’s secrets and why they’ve been separated for so long. 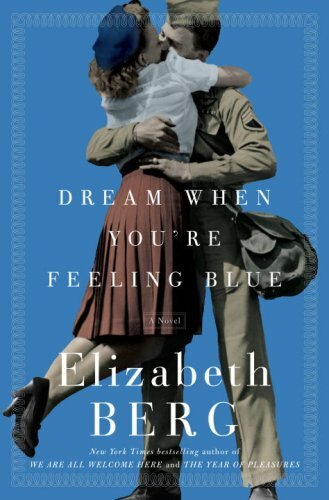 New York Times bestselling author Elizabeth Berg takes us to Chicago at the time of World War II in this wonderful story about three sisters, their lively Irish family, and the men they love. As the novel opens, Kitty and Louise Heaney say good-bye to their boyfriends Julian and Michael, who are going to fight overseas. On the domestic front, meat is rationed, children participate in metal drives, and Tommy Dorsey and Glenn Miller play songs that offer hope and lift spirits. 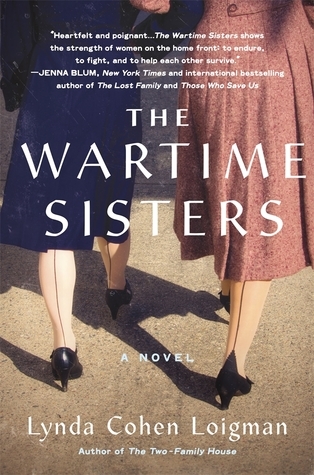 And now the Heaney sisters sit at their kitchen table every evening to write letters–Louise to her fiancé, Kitty to the man she wishes fervently would propose, and Tish to an ever-changing group of men she meets at USO dances. In the letters the sisters send and receive are intimate glimpses of life both on the battlefront and at home. For Kitty, a confident, headstrong young woman, the departure of her boyfriend and the lessons she learns about love, resilience, and war will bring a surprise and a secret, and will lead her to a radical action for those she loves. The lifelong consequences of the choices the Heaney sisters make are at the heart of this superb novel about the power of love and the enduring strength of family. I actually have no idea when I got this book, but I know it’s been on my shelf for several years now, and I assume I must have picked it up at one of the library’s book sales. I can only guess why I picked this book up, since I don’t remember actually buying it! I’ve read one other book by Elizabeth Berg — Open House — and I seem to remember liking it. As for Dream When You’re Feeling Blue, the synopsis appeals to me — most of the WWII stories I’ve read have been set in the thick of the action, so seeing the war from the perspective of the homefront sounds different, and the sisters sound like really fun characters. I have such mixed feelings about this book. The story is grand and sweeping, encompassing the London air raids of World War II as well as the horrible conditions experienced by soldiers besieged on the island of Malta. 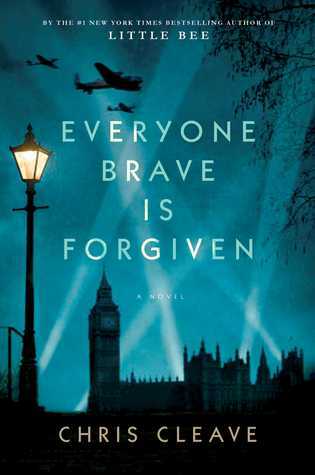 In terms of setting and historical context, Everyone Brave Is Forgiven is powerful and hard-hitting, showing us the terror of the reality of war through the eyes of those attempting to live through it. At the same time, the characters and the dialogue kept me at a distance throughout. The writing is so overdone, and there’s a jolly good, stiff upper lip, never say anything that isn’t a quip flavor to every line the characters speak. If I had to read one more sentence about what “one” did or didn’t do or feel, I might have pulled my hair out. Overall, I found this a disappointing read. I will probably be in the minority on this one, as the book seems to be getting raves from all the big literary review sources. Sadly, the paths of the characters and the central love story didn’t have a ring of truth. The tragedies pile up, and there are scenes of raw destruction that are breathtakingly sad and shocking. Unfortunately, I couldn’t find the characters’ lives, actions, or relationships real enough to feel a true sense of connection to their stories. I’m delighted to be participating in the blog tour celebrating the release of The Hummingbird by Stephen P. Kiernan. Thank you, TLC Book Tours, for including me! Barclay’s last wish is for Deborah to read to him from his final and unfinished book—a little-known story from World War II that may hold the key to helping Michael conquer his demons. Together, nurse, patient, and soldier embark on an unforgettable emotional journey that transforms them all, offering astonishing insights into life and death, suffering and finding peace. 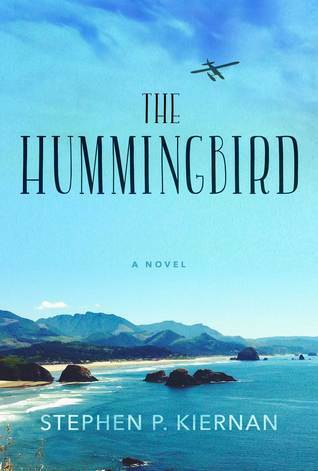 Told with piercing empathy and heartbreaking realism, The Hummingbird is a masterful story of marital commitment, service to country, the battles we fight for those we love, learning to let go, and finding absolution through wisdom and acceptance. The Hummingbird is a quiet yet powerful look at love, acceptance, peace, and dignity. With a hospice nurse as its central figure, The Hummingbird has a calmness to it even when dealing with sorrow and anger. Deborah is a remarkable woman, and it’s hard not to marvel at the peaceful focus and commitment she brings to her work. 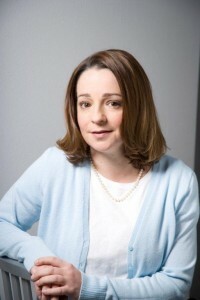 Deborah doesn’t view her patients as tragedies or medical lost causes. Instead, her job is to focus on each patient as an individual. Death is already a certainty; it’s Deborah’s purpose to make sure that her patients meet death with the comfort and space they need in order to have a dignified end. At the same time that we witness Deborah’s work with the Professor, we see her struggling to reclaim her warrior husband Michael, a damaged soul who returns from his third tour in Iraq full of violence, rage, and guilt. Through her work with Barclay Reed and her reading of his unpublished manuscript, Deborah begins to find clues that will help her reach Michael. 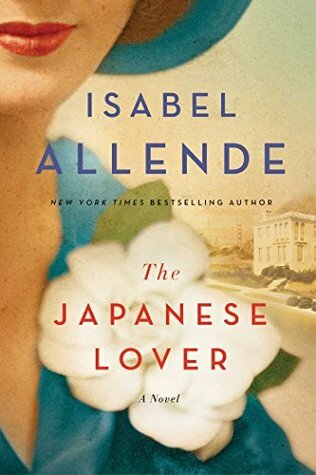 The more she reads about the Japanese soldier who became a man of peace and forged relationships with his former enemies, the more she learns about how to take steps toward her husband and help him truly find his way home again. I found The Hummingbird incredibly moving. While I’d had certain preconceptions about the concept of hospice, I’ve never actually encountered it in my own life or in my reading until now. Reading about Deborah, her attitude and her approach, and what hospice provides for patients and their families was eye-opening for me. I was so impressed and touched by the degree of caring, the focus, and the compassion on display. Deborah’s interactions with Barclay are beautiful — not sugar-coated or avoiding the messier elements of illness, but simply caring and placing the patient’s total self above any other concerns. Deborah’s relationship with her husband was quite touching as well. Michael is damaged and seems almost unfixable, but Deborah doesn’t accept that he’s beyond reach. It isn’t easy and it isn’t pretty, but we see scenes that show the rawness of returning veterans, their inability to fit back into society, and how little true help is available without a fight. It’s sad to realize how real this all is, and what’s more — as illustrated by an affecting scene involving Michael and a Vietnam vet — how little has changed or improved for soldiers in terms of how they’re treated when their fighting is done. I would be remiss not to mention how powerful the third element of this story is. In chapters interspersed with the modern-day story, we read Barclay Reed’s manuscript, titled The Sword, telling the story of a Japanese bomber pilot whose World War II mission was to firebomb Oregon and cause panic and destruction on US soil. Although his mission did not succeed, the impact of his mission was felt by him and by the Oregon community targeted by his mission for decades to come. The story of connection and reconciliation is lovely, and surprised me by not going in the direction I’d expected. These three threads — Deborah and the Professor, Deborah and Michael, and the story of The Sword — are woven together to create a beautiful story of redemption and forgiveness. The Hummingbird makes clear that it’s human connection that matters above all else, and that it’s never too late to find peace. I strongly recommend The Hummingbird. The writing is lovely, the subject matter is quite unusual, and the characters will touch your heart. 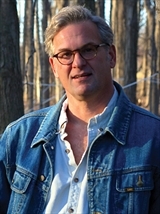 Stephen P. Kiernan is a graduate of Johns Hopkins University and the University of Iowa Writers’ Workshop. During his more than twenty years as a journalist, he has won numerous awards, including the Joseph L. Brechner Freedom of Information Award, the Edward Willis Scripps Award for Distinguished Service to the First Amendment, and the George Polk Award. Kiernan is the author ofThe Curiosity, his first novel, as well as two nonfiction books. He lives in Vermont with his two sons. For further information, visit the author’s website or stop by TLC Book Tours to view other blog tour hosts. 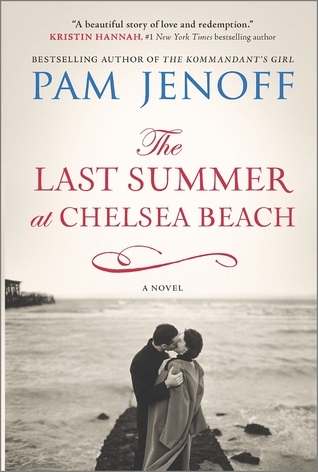 Thank you for joining me for my stop on the blog tour for Pam Jenoff’s new historical romance, The Last Summer at Chelsea Beach! And don’t forget to check out my giveaway — scroll down to enter… and good luck! I have really mixed feelings about this book. First, the positive: I thought the author did a great job conveying the feel of Philadelphia and the Jersey beaches in the 1940s. The street scenes and depictions of life in a summer beach town were very convincing. I really enjoyed seeing Adelia’s unofficial adoption into the Connally clan. This big, noisy Irish family just opened their hearts and home to her, and it was heartwarming to see this lonely, frightened immigrant girl find a place to fit in. Likewise, the scenes set in wartime London were stirring, especially seeing the devastation of the Blitz and the danger of simply walking down a street, as well as the sad plight of war orphans and the courage of the war correspondents and soldiers setting off on secret missions. The risks and uncertainty add a sense of breathlessness to every interaction, and I liked seeing Addie find a place amidst the chaos and confusion, seeming to discover a calling of her own. 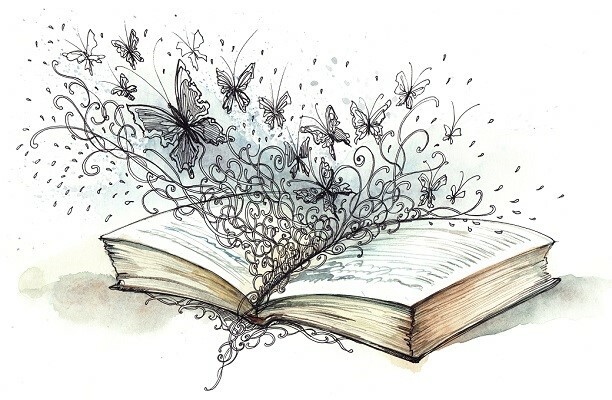 What worked less well for me was the romance, or rather, romances, that are at the heart of the story. To put it bluntly, I just didn’t buy any of Addie’s love interests. I found her actions and decisions confusing, and even by the very end of the story, I wasn’t convinced by her supposed motivations or feelings. Part of the problem may have been the condensed time frame of the story, covering about four years starting from when Addie is sixteen. An awful lot happens in that amount of time, including romantic entanglements that spring up almost instantly and some that seem to dissolve just as quickly. For me, The Last Summer at Chelsea Beach seemed over-plotted, and I didn’t feel that the emotional arcs built, but rather jumped from point A to point B (or even C). 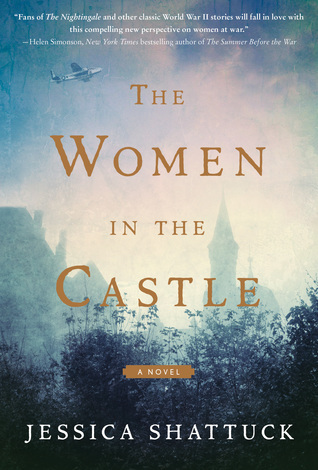 The romantic aspects of this book just didn’t gel, but I did enjoy the historical setting and the way the descriptions evoke a real sense of a by-gone era. 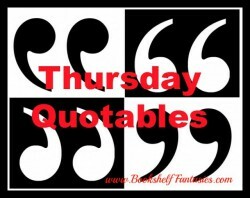 – What’s the best book you’ve read set during wartime? – What beach holds special memories for you, and why? – If you could live in a different period in history, what would you choose? 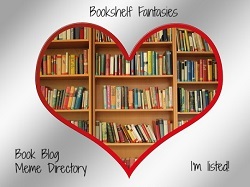 Extra credit: Do you follow Bookshelf Fantasies? Let me know in the comments if you follow me and how (email, Twitter, WordPress, etc), and you get an extra entry in the giveaway! That’s it! I’ll do a random drawing on September 1st to pick a winner. Thanks for playing along!